Bangkok, Thailand: Thousands of people are expected to attend the 2nd Thailand Halal Assembly 2015 being held during 25 – 27 December at the Queen Sirikit National Convention Center. This will be the biggest gathering of halal business in Thailand. It is an opportunity for those in the Halal industry based in Thailand and abroad to exchange views, express culture, innovation and potential acquisitions opportunities while providing the international community a platform to discuss issues related to the Halal industry. Thai Prime Minister Gen Prayut Chan-o-cha will officiate at the opening ceremony at the Queen Sirikit National Convention Center on Dec 25. 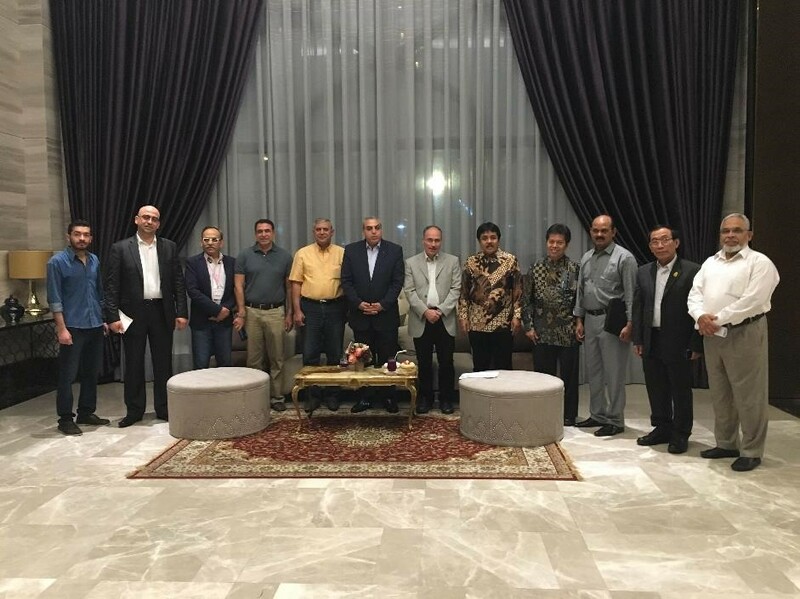 The event is expected to be attended by more than 1,000 delegates from Thailand, the ASEAN and Islamic countries and the Muslim diaspora from around the world. This year’s theme is “Halal Culture and Innovation for Halal Economy”. The delegates/speakers at the conference include Dr. Shabana Khan, Ecron Acunova, India, H.E Sebahittin Korkmaz, Chairman, OIC – SMIC, Prof. Dr. Faqir Muhammad Anjum, UAF, Pakistan, Dr. Jonathan A. J. (Bilal) Wilson, Course leader, Advertising, Branding & Marketing Communications, Greenwich University, UK, Dr. Hani Mansour al Mazeedi, Senior Scientist, Kuwait Institute of Scientific Research (KISR), Kuwait, Mr. Farhan Tufail, CEO, Halal Certification Services, Imran Musa, CEO, ARK Incorporation, Singapore, Prof. Dr. Reyad Shaker Obaid, Department of Clinical Nutrition and Dietetics, College of Health Sciences, University of Sharjah, UAE, Krisana Kraisintu Ph.D, Dr. Majed Alhariri, Dr. Sapta Nirwandar., SE , Dr. Jawad Alzeer, Kasinee Katelakha, Prof. Dr. Irwandi Jaswir, Prof. Mosaad Attia Abdel-Wahhab, Mr. Syed Atiq ul Hassan, Director Halal Expo Australia, Mr Adi Rahman, Mufti Zeeshan Abdul Aziz and Dr Zenaida Laiden. The event is organised by The Halal Science Center (HSC), Chulalongkorn University, The Central Islamic Council of Thailand, The Halal Standard Institute of Thailand, and Halal Development Council. In addition to an International Conference on the Halal Science Industry Business, the event will include a Halal Expo of 200 booths exhibiting international and domestic products suited for the Islamic market. There will also be workshops and presentations of Thai-Muslim cultural shows. Tourism is prominently featured in the conference programme. One of the key presentation topics is “Thailand’s potential of Halal Tourism in AEC” by Mr. Pairote Potivong, Director of the center for IMT-GT Subregion Cooperation (CIMT), Thailand. Other presentations of interest to the tourism sector include “Potential of Halal tourism in non-Muslim countries” by Dr. Arata Mariko, Tokyo Institute of Technology, Japan, and “Halal tourism for sustainable growth in AEC” by Dr. Sapta Nirwandar, Honorary advisor of Minister of Tourism, Middle East Market and Halal Tourism, Indonesia.